that their day-to-day activities were limited by a long-term health problem or disability. This means that the current ‘Access All Areas’ campaign being led by the Largs and Millport News affects a significant number of people. Then remember that this campaign is also aimed at older people and parents with push chairs. That adds a few more people who might benefit. If we then consider that communication access is just as important as physical access, adding people with communication support needs means even more people benefit from this campaign. After all, what would be the point of gaining physical access to a restaurant if you can’t read any of the menus? 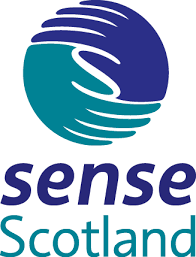 We must by now be thinking of well over 1 million people in Scotland with physical or communication access needs who can benefit from this campaign. In North Ayrshire alone that would mean considerably more than 27,000 people, all living in our communities. Perhaps it is us ourselves or our neighbour who has recently had a stroke; our young nephew with autism; the deaf teenager wanting to join our youth group; the mum struggling to get on the bus with her pram and shopping; the chairperson of our tenants’ association who has become hard of hearing; the diner trying to read our menu; the deafblind person wanting information about council services; the voter with learning disabilities wanting information about the Scottish elections; our friend who tires easily because of major illness; our sister trying to get into the shop using her wheelchair. Of course, there is a clear legal case for making buildings and services accessible, with the 2010 Equality Act placing a duty to make reasonable adjustments on public bodies as well as shops and businesses providing goods and services. But there is a strong business case also – making reasonable adjustments will help many of those 27,000 people in North Ayrshire access your business, not to mention the thousands more who come to our wonderful area as visitors. Each of those 27,000 people will come with family, friends and colleagues and they will all look more favourably on a business if they have had a great service with easy access. Who could turn that amount of custom away? Perhaps we don’t always know where to start or we feel embarrassed or we worry that we’ll be criticised if we get it wrong but there are many individuals and organisations who can provide advice in a supportive, encouraging way that helps us all to make changes. This Access for All campaign can encourage all of us to share our stories and experiences so that we learn about the simple steps we can take to make our fellow citizens feel welcomed, valued and included. And that makes the human case for access perhaps the strongest case of all. It is simply the right thing to do – who wants to exclude their family member, friend, neighbour or colleague? However, there are clear benefits for all of us if we adopt inclusive approaches. For example, we still get to spend time with our neighbour who had the stroke; our nephew with autism helps us to appreciate the world anew; the deaf teenager encourages us to learn some sign language; the bus driver gets good feedback from his passengers; the tenants association makes better decisions because the chairperson is still present; you’ve more customers in your café; you get extra votes in the election; your shop sees increased business. This Access for All campaign matters because access affects each and every one of us directly. Making our community accessible benefits all members of that community.